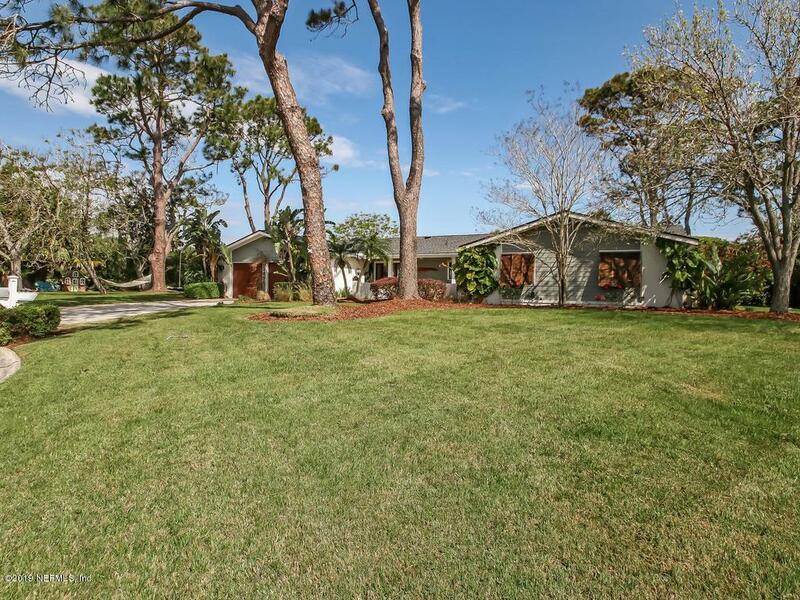 THIS OLD PONTE VEDRA PROPERTY HAS THE BEST OF EVERYTHING!! PANORAMIC VIEWS of the 8th green and 9th tee box of the PONTE VEDRA INN AND CLUB'S LAGOON COURSE- PRIVACY, THE ONLY HOME LOCATED ON the CUL DE SAC.....AND ONLY ONE NEIGHBOR!! 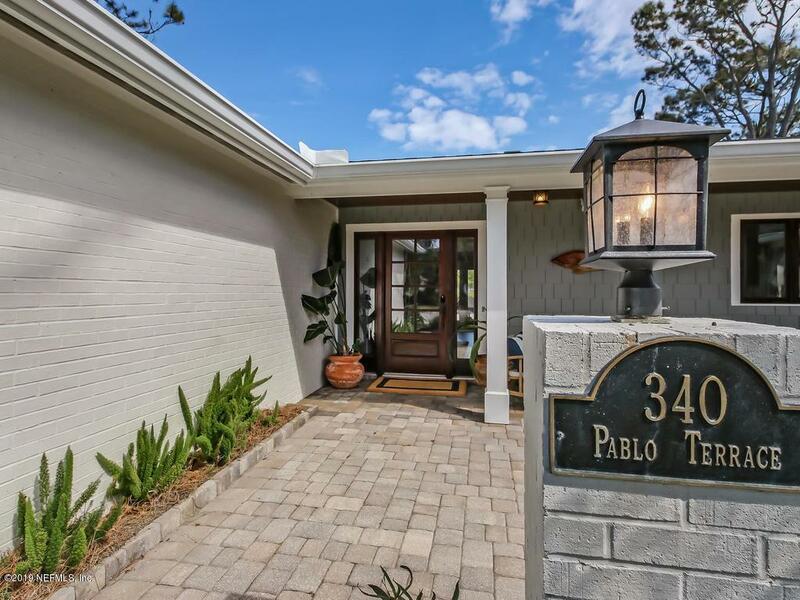 Exceptional water & golf views situated on this very private street! Large rooms with picture windows and superior north/south exposure for comfortable afternoons by the pool. 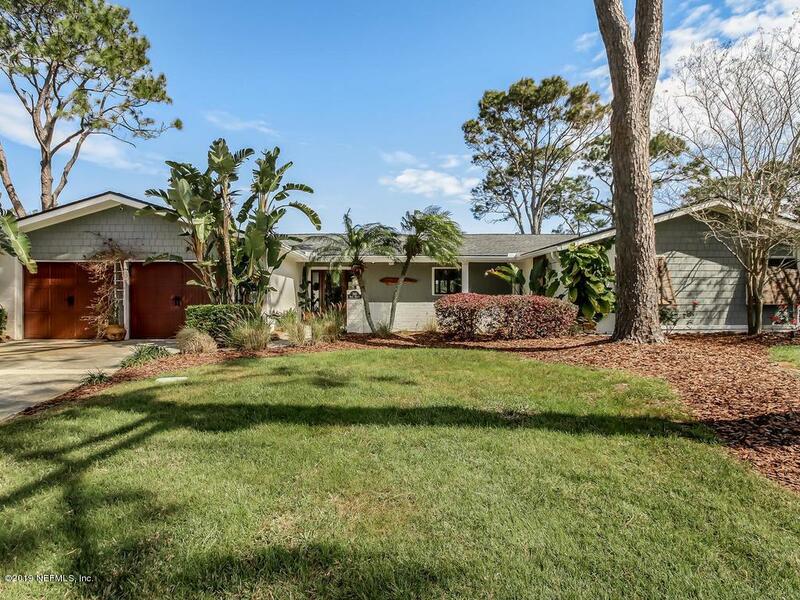 Ranch style with courtyard entry, complete with outdoor shower for your days at the beach. 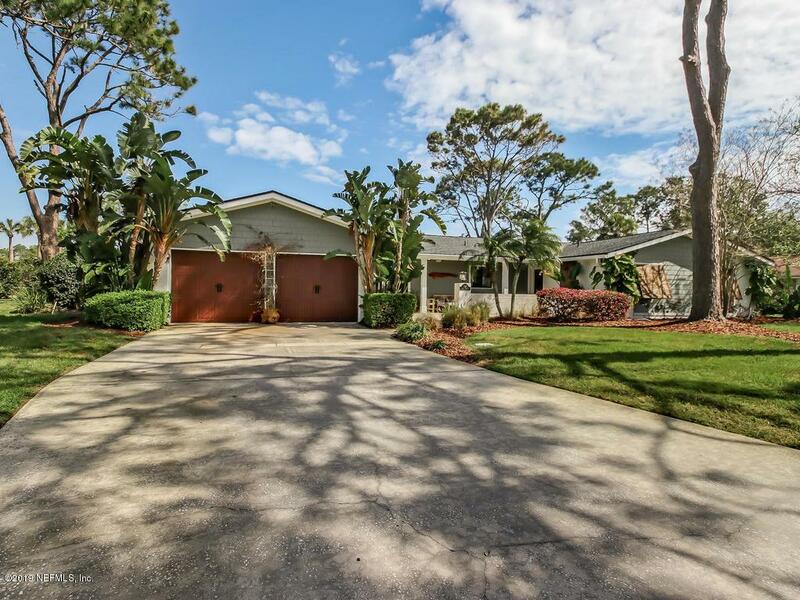 This home has been taken down to the studs and has been completely renovated. Large bedrooms, custom closets, window treatments and a HUGE yard to play.At .54 acres there is plenty of room left over to fill your fancy. Fire pit, GORGEOUS kitchen for the most discerning of chefs, beautiful bathrooms, two year old roof, and a large laundry/craft room with plenty of counters of workspace. This 4- bedroom, 3 bath, 3,258sf ready to move in home is a buyers dream. Walk, ride or run to the beach or to the Ponte Vedra Inn and Club. DON'T MISS this rare opportunity to own one of THE BEST AND MOST PRIVATE LOTS IN ALL OF OLD PVB!!! ****FULL GOLF MEMBERSHIP INCLUDED TO MARSH LANDING COUNTRY CLUB. APPLICABLE DUES AND FEES APPLY.